Facebook is partnering with ABC, CNN, Fox News and other media organizations to launch a series of news programs on its Watch video service. The shows, which will be financed by Facebook and appear there exclusively, are part of the social media company's effort to restore user trust in the wake of misinformation scandals and repair its tenuous relationship with the news industry. "We have pushed intensely over the last six months to emphasize quality over quantity -- down-ranking click bait, down-ranking sensationalism," Campbell Brown, Facebook's head of global news partnerships, told CNNMoney. "This is another investment in quality news on Facebook." Many of Facebook's first shows will have the same talent and tone found on broadcast and cable television. CNN's "Anderson Cooper Full Circle" will be hosted by Anderson Cooper, Fox's "Fox News Update" will be hosted by Shepard Smith. ABC's "On Location" will feature ABC News journalists and will be prepared to go live during major breaking news events. Univision will have a daily news brief and a show hosted by Jorge Ramos, in which he interviews immigrants around the United States. The news section will also feature shows from smaller outfits like ATTN, Mic and Alabama's AL.com. Brown told CNNMoney that Facebook is "still talking" to other news organizations and will be "announcing a lot more in the weeks and months ahead, with the hope of having them all launch by the end of this summer." Facebook is paying some media organizations seven figures to finance a year's worth of programming, a source with knowledge of the matter said. Facebook's relationship with the news industry has been complicated. The initial love affair publishers had with Facebook's vast audience reach eventually gave way to frustration as Facebook started sucking up the vast majority of advertising revenue and leaving publishers with crumbs. 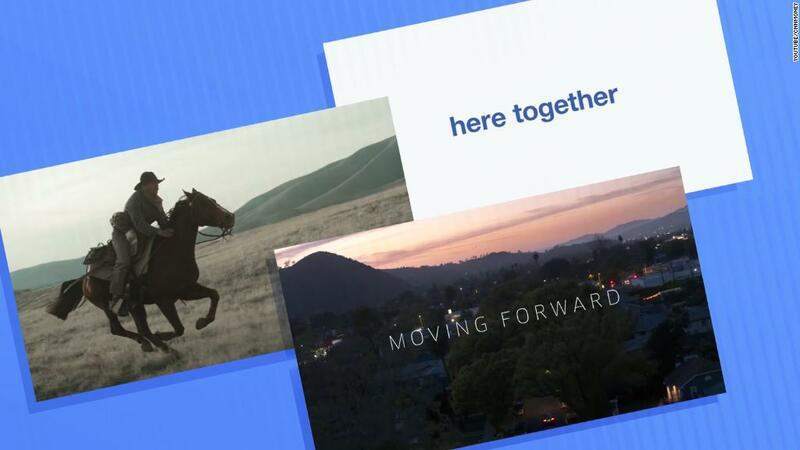 Earlier this year, Facebook also announced that it would revamp its News Feed to feature more content from friends and family and less content from brands and publishers. The move was meant to bring quality control to a platform that had become crowded by misinformation and political divisiveness, but it left media organizations feeling as if they could no longer rely on Facebook to promote their content. The Watch news shows appear to be an effort to change all that. "We want to explore new and different ways people are engaging with news and information today," Brown told CNNMoney. "We think about the future of journalism is an experiment we're all in together." Facebook's news programming will also serve as yet another trial run for linear television networks that have struggled to figure out the shift to digital platforms. Those organizations are hoping that Facebook's vast reach -- it has roughly 185 million daily active users in the United States -- will be more successful than their own stand-alone efforts. "The destination aspect is attractive to a lot of publishers," Brown said. "This is a real, credible destination with a diverse group of news organizations."